Digitally Remastered CD - Oxygene remains one of my favorite albums even after all these years. Digitally Remastered CD - This was the first Jarre album I owned, and it will always remain close to my heart. 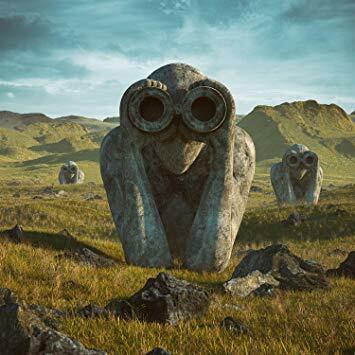 Digitally Remastered CD - What makes this album shine is the image of Jarre and his compass searching for his transistors from the video to MF 2. 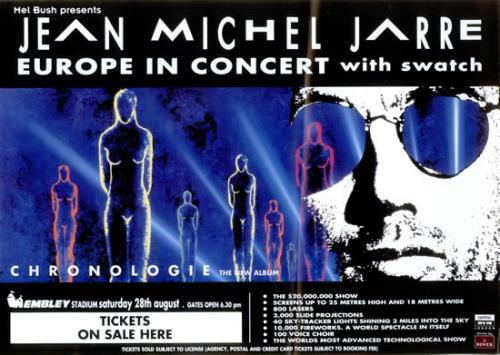 Digitally Remastered CD - Jarre was the first main-stream performer to give a concert in China. This is his first concert CD, and it offers some new and original tracks like "Night in Shanghai" and "Fishing Junks at Sunset"
Digitally Remastered CD - For some reason when they re-released the Jarre albums, they split this album into two parts. Then in 1997, the released the re-remasterd albums in one package. Go figure. Thanks to Jasper van Toorenburg who was able to get me a copy of the French broadcast from July 5, 1983. Sound quality is OK considering the source!! What most people don't realize, is that MFS is the perfect link in Jarre's works from Magnetic Fields to Zoolook . A few of the tracks show up on later albums further reinforcing this idea. German Jarre compilation, not easily found. Pretty unremarkable really, other than the fact that this was one of the first of Jarre's "Best Of" albums. Remixed version from West Germany (yeah I know its old!). 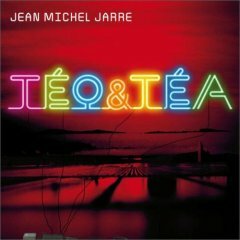 A rather interesting album where Jarre goes in a new direction. It took me a while before I actually liked the album, but today I consider the track "Zoolook" one of my favorites. Jarre's 10th Anniv. Album, 1976-1986. There are actually two versions of this album with different names. One was released in Italy and this one was released elsewhere. 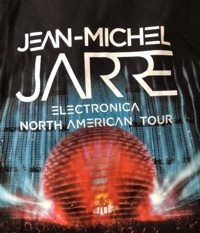 I think it was released to promote other Jarre works in conjunction with the 2 big concerts of 1996 in Houston and Lyon. Used to be my favorite album, first Jarre CD I bought. This album holds a lot of emotion for me. It reminds me of the events of my life around the time I bought it - sometime in 89-90, the Shuttle Challenger accident in 1986, and the ever-popular crowd pleaser Rendez-vous 4 always puts me in a good mood. Digitally Remastered CD - Jarre's only concert in the US was in Houston, Texas about a year before I knew who he was. I actually used to live there from 1977-1980. **SIGH** will he ever come back here??? I used to be confused as to why we hear the pope on this album until I realized that the concert in Lyon France was FOR the pope. Digitally Remastered CD - I am truly sorry, but I think I dislike this Jarre album the most. Revolution, Revolutions is usually the only track I listen to, but on rare occasion I will actually listen to the whole thing. Digitally Remastered CD - What can be worse than Revolutions? How about a Live album that wasn't even live? This was later re-released as "Destination Docklands" sometime in 1996 or so. German import, last of studio albums to get. - This album will always remind me of travelling from Paris to Germany in 1990. I was fresh out of high school, and went on my first trip to Europe with my best friend Kris. I found this album in a store in Paris. Little did I realize at the time, but three days after I was there, Jarre performed the Paris - La Defense concert!!! this is the closest I have ever been to a Jarre concert. French import - Another "Best of" collection. I wouldn't exactly think of these as my favorites, but it is a great collection to get people started on Jarre. 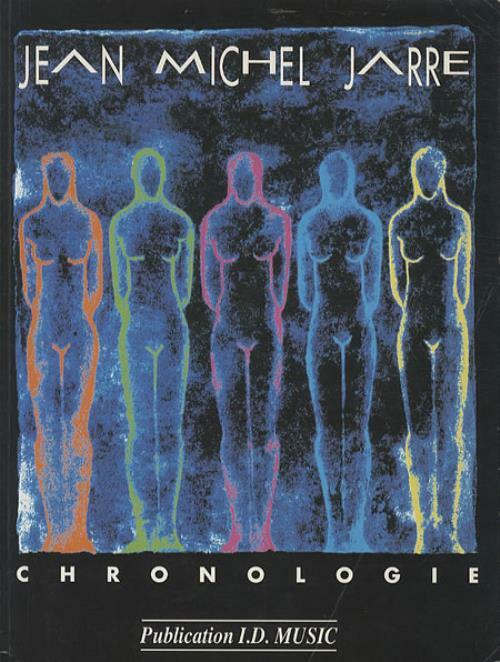 Chronologie is another album that is very dear to me. It got me through some tough times. 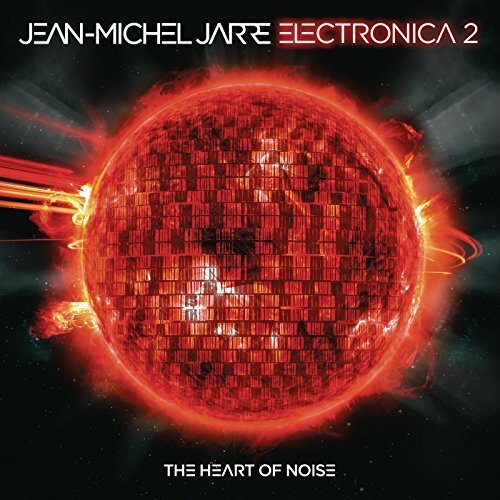 But also, this was the best album Jarre produced in 7 years. It had something for everyone, and contains my favorite track of all time - Chronologie 4 - which I play along with using my Musicall. Slam and Gat Decor remixes - My first exposure to Jarre "remixes". My first reaction was "Huh??" But since then I have come to appreciate Chrono 6 with a club beat. This album cost me a fortune to get back in 1994, but it was worth it. Of all of Jarre's live albums, this one is my favorite - even if it does contain music from the Europe in Concert tour as well as the March '94 Hong Kong gig. It also has an extended version of Chrono 4, and the crazy Digisequencer. Purchased from CDNOW. Imported from Germany and features the ever-popular "Zig Zag Dance" This was interesting to get because I had never heard any of his earlier works. Nothing spectacular, but it was cool to hear synth music from the early 70's. French import, 11 track version avail. Only in France! My friend Matt was kind enough to pick this up on his "Hike around Europe" somewhere in Marsailles. I think I squealed when he showed up at the airport with it. Another German import via the Netherlands and Jasper! About the only redeeming track on this album is Pop Corn. I just love this song. It is simple and elegant and catchy! The rest of the album is unremarkable and the 7 versions of Zig Zag Dance is a bit much. Jasper came through again and delivered this one as well. IMHO better than Rarities 2, but features clicking on the last 2 tracks. This album has some great Jarre remixes, including some that I had on an album. I also like the music from Palawan, complete with the Cousteau voice over. French import - Mega kudos to my friend Nathan who was living in Paris at the time and picked me up the version that had a booklet with the animation from Oxygene 8. He was all set to have it autographed, but Jarre was way too late. A sampler CD they gave away at the HMV store with Oxygene 7-13. I came upon this album via an auction for UNESCO. I like this compilation much better than Images. Another sampler CD, this one contains tracks that start out from the old masters and then fade into the new improved masters. French 2-track version. Nathan also provided me with this single. European version disk 1 - I never understood why they split singles into two different CD's. Oh well. 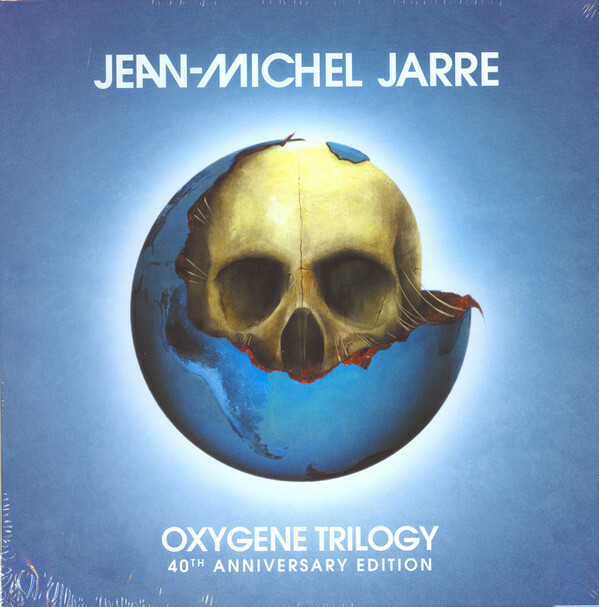 I really enjoyed all 4 CD's of remixes of Oxygene 8, a true Jarre classic! USA Version - This version actually combines a few of the tracks from the European versions, but has the version of the Sunday club which is one of my favorites. Found this one in the bowels of the Virgin Megastore in Paris in April 1998. It's the French release: 2 tracks of Oxygene 7 and one Oxy 10. Both Oxygene albums in one package with a 24 page souvenier brochure and a bonus track: Oxygene in Moscow. This package also contains a color booklet containing pictures from Oxygen in Moscow as well as the remastered version of the original Oxygene Album. It is amazing to compare both versions side by side. CD Single of the Rendez-vous 98 song. It's actually a remix of Rendez-vous 4 by Apollo 440 used as a theme for the World Cup. This CD is on my short list when I need mood enhancement - STAT! Remix album contains remixes of the Oxygene 7-13 album plus a way cool CD Extra feature. I have to admit, the main reason I bought this album was for the cool Multimedia program on it. I had most of the remixes from the singles I bought earlier, but it was nice to have them all in one place. Another album acquired because Nathan is living in Paris. Features some really cool tracks that were featured in the Twelve Dreams of the Sun concert in Egypt on New Year's Eve/Day. Contains Futureschock Transglobal remix of C'est la Vie as well as a Multimedia track with Jarre talking about the new album and with video clips. Very nice, also courtesy of Nathan. UK multimedia version. The video is way cool. Eiffel 65 Mix - Europe version. Haven't really warmed up to this one still. Occasionally I will pop it in, but never for too long. I had an MP3 version of the theme from a Rarities album, so I was excited when the actual CD was re-issued. DVD + CD. The DVD is mixed in 5.1 Dolby Digital and DTS and is simply an amazing experience. A pair of eyes stare at you for 73 minutes which is OK, except for that mole.. The CD is nice too - especially for the car. I really like the new track Aerozone and the mixes of the classic tracks are great as well. Classic Jarre Tunes given the full symphony version. JMJ endorsed this, so while not exactly his work, it is included here for completeness. Not a favorite, but I like the title track. Seemed more like a "I have one more record on this contract" album than a normal Jarre album. DVD + CD. The DVD is mixed in 5.1 Dolby Digital and DTS and to boot the concert footage is in 3D!! Comes with 3D glasses, and I wonder if this even would work on new 3D TVs?? Three Jarre Albums in a little bit over a year?? The third chapter of Oxygene saga brought back many memories of Oxygene 7-13 (now called Oxygene 2 in the remastered set) as well as the original Oxygene. Part 17 and Part 19 are on heavy play in the car! Purchased MP3s and CDs - still have a box set on order! 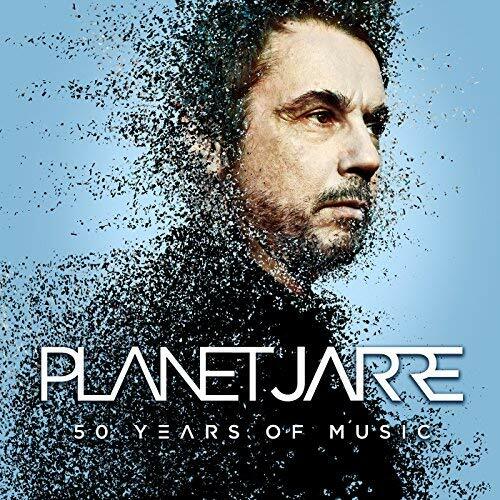 Celebrating 50 years of Jarre music, this is a 2CD best of compilation album which includes some old classics and new favorites with new mixes. Some of the new remixes of classics are amazing! A surprise release at the end of 2018 celebrating the 40th anniversary of Equinoxe. I don't really feel too much of the connection to the original, but its there. 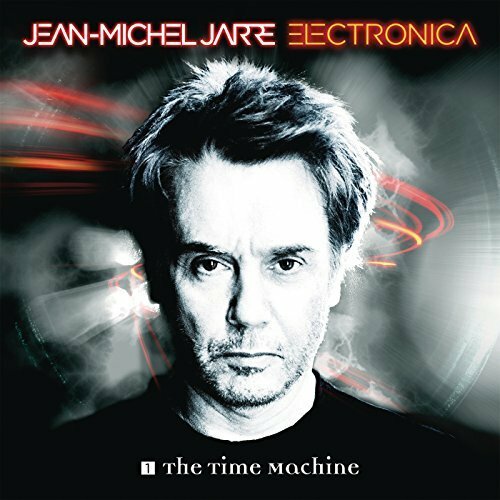 IMHO this string of releases starting with Electronica is one of Jarre's strongest periods since the original four albums..
French LP - Most of these tracks ended up on the Rarities 3 album. 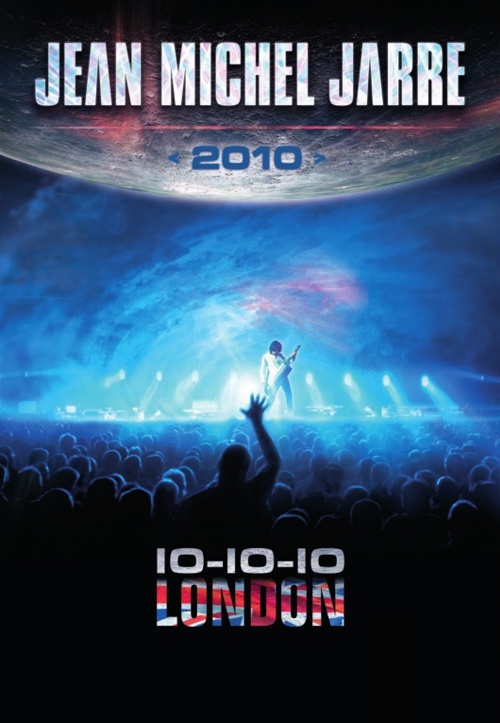 PAL-NTSC transfer - First ever Jarre concert attracted 1 Million people in Paris. This is the 30 minute edited version which features some spiffy 1979 effects and basically the albums played in the background. Seacam-NTSC transfer - Interesting that the concert is sort of secondary in this video. But I did enjoy the look at Chinese culture and various parts of China. And check out that cool white suit that Jarre wears!! NTSC - I found this in the Tower Records in Sacramento out of the blue one day. Needless to say, I was very happy since this was the first time that I was able to see what a Jarre concert looked like. Seacam-NTSC transfer - Pretty much the same music as Houston, just in a more historic location. Seacam-NTSC transfer - Ick. Did anyone else think that Hank Marvin looks like Leonard Nimoy? Seacam-NTSC transfer - I am still bitter about missing this concert by three days. But at least with the video, I can put it on and get a bunch of my friends to stand too close to me and shout in French to duplicate the experience. PAL Original & NTSC copy - Kinda boring, but it has some of the best videos of all times. Zoolook and Magnetic Fields by far are the best..
PAL Original & NTSC Copy - I found this one and Images at the Virgin Megastore in London in 1996. I wish I spoke French so I could understand what the heck Jarre was saying.. I tried and tried to get the laserdisc, but at least was able to find a copy from HBO Ole! Cool Jarre beret alert. July 14, 1998 Concert at the Eiffel Tower in France featuring tracks from Odyssey through O2. Some good stuff is suffocated by some bad rap. 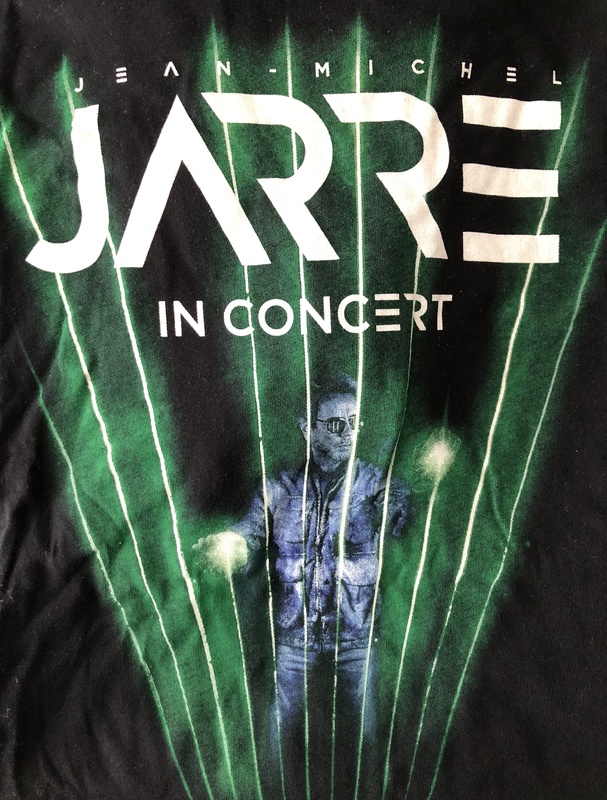 And it is also obvious that the only thing Jarre gets to do the whole evening is to play with the Jarkaos images and the Theremin. Oh yeah - and look goofy in the Soccer jersey. Thanks to Gerardo in Spain, this is the copy of the M6 broadcast of the concert. I think it will look even better if they come out with a DVD. The concert starts out slow, but once it hits Chronologie 3 it gets going. Two part concert, I have yet to sit and watch this DVD since I have to convert it to Region 1. DVD release with a Live CD. Had to convert to Region 1, but well worth the effort. Jarre is full of emotion as he reflects on the Solidarity revolution in Poland. 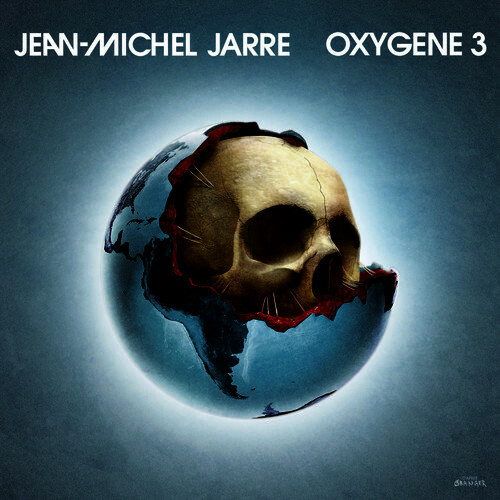 Great DVD of Jarre and Friends playing the complete Oxygene album live with some interludes. Can watch in 2D or 3D, it is a great thing to watch and just admire the work that goes into playing an analog synth live. Obtained from Swatch shop near Harrods in 1996, Owner knew Jarre and had some extras. I think she gave it to me because I forked over the dough for the Swatch Musicall. Nice poster from Jeffrey in Hong Kong. Concert was March 11, 1994. Found this jewel off of EBay - poster of the concert that was up all around Cairo before and during the concert. Purchased in Berkeley at the North American Tour. 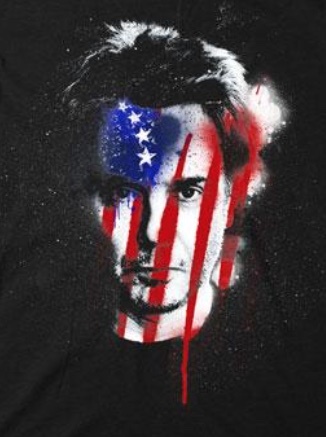 Features Jarre's face with the USA flag superimposed on it. Purchased from COTM, book has pictures from the July 14, 1995 concert. Mostly in French, but great pictures!!! Purchased from COTM - Finally a white T-Shirt I can wear out about in the sun. As promised from 1997, I wore this shirt to Berkeley in 2017 and San Diego 2018 for the North American Electronica Tours. 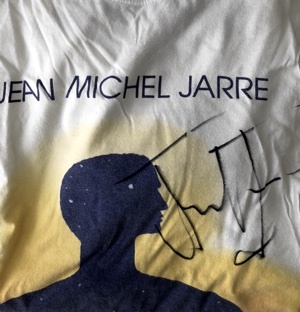 Update: This shirt was autographed by JMJ on April 21, 2018! 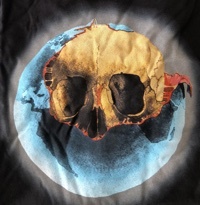 Purchased from the official web site in 2015. 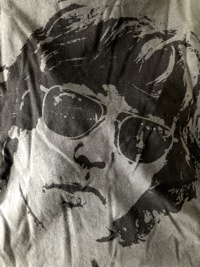 A grey shirt with Jarre's head looking very Che-like. 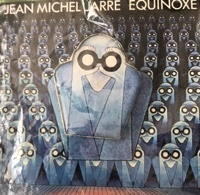 Sheet music for Oxygene II, III, VI, Equinoxe I, III, V, Magnetic Fields II, III, IV, Orient Express, Night in Shanghai, Band in the Rain, Zoolookologie, Computer Weekend, London Kid, Tokyo Kid, Rendez-vous III, Rendez-vous IV, Calypso I, Waiting for Cousteau (extract). Includes discography and concert/film list. Also found in the bowels of the Virgin Megastore in Paris. Another one of the original Musicalls, I found this one by chance at Macy's in San Francisco. Plays Chronologie 4. I now have two of these watches - one worn by me for years (and to three concerts) and another MIB.. I have pictures galore of various ones I have seen including the La Defense concert in 1990, but I want one for my wall. Maybe when he comes to the US he will sign them like he does in Europe. There are literally hundreds of things I don't have, but would like to get so let me know they are out there! !